Why not join us on Thursday 9th November for our twilight CPD session exploring the Christmas Story and it’s characters. How can you help the children in your classes explore it? What can they learn from it? How can you make it more than just the Christmas play we do every year? The session will be active, hands on and hopefully fun. You should leave with lots of ready to use ideas. This training is ideal for all Primary school teachers and chaplains or schools workers. 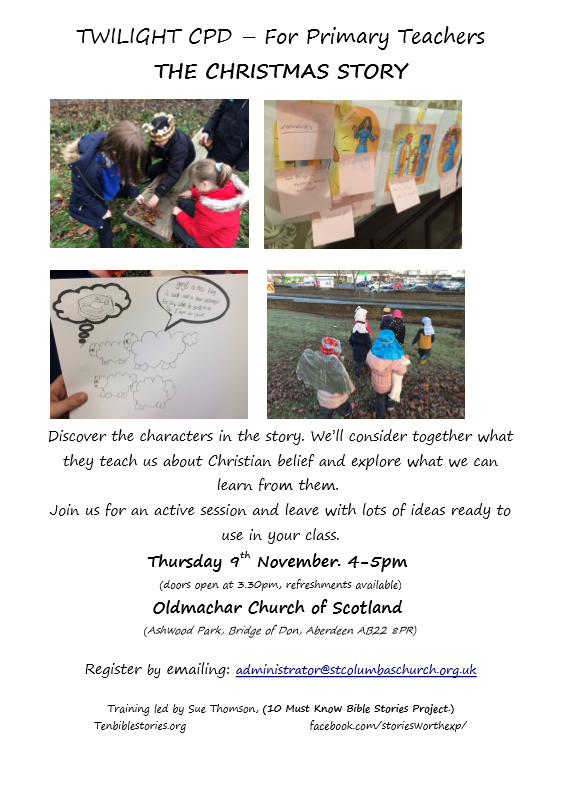 Thursday 9th November, 4-5pm (doors open at 3.30pm), Oldmachar Church, Bridge of Don.